Our team of educators is completely committed to guiding our students toward success. Our teachers believe in a bright future for every student here at PHS, and they work tirelessly to help them unlock that future. Please take a moment to become more acquainted with our talented faculty and staff, and be sure to contact them with your questions or concerns. I have been in education at the high school or college level for the better part of 28 years. I spent my first nine years in the classroom teaching physical education and health. In addition to teaching, I have coached many sports. My most extensive coaching experience was in the sport of volleyball, which I coached at the high school and college levels for many years. My most recent experience was with Poudre School District in Fort Collins, Colorado, where I worked in the central office as the district athletics director. I am passionate about the role of education in the lives of our youth. When a community rallies around every single child, great things can happen. One of my primary goals here is to make Platteview High School exceptional. I believe it takes a great deal of work to accomplish this. Abigail Adams, the wife of John Adams (the second president of the United States) had it right many years ago when she said, “Learning is not attained by chance, it must be sought for with ardor and attended to with diligence.” The staff at PHS and I will set high expectations for our students as we work towards achieving great things. In my free time, I enjoy spending time with my wife, Joanna, (22 years this July) and our children: Trey (19), Hannah (17), and Ben (12). I love to run, spend time outdoors, and enjoy activities with my family. Go Trojans! Mr. Stanton has been the tenth through twelfth grade counselor since 2008. He earned his bachelor's degree from Midland College and holds master's degrees from Chadron State College (school counseling) and the University of Nebraska-Omaha (school administration). Mr. Stanton enjoys spending time with his wife, Mary, his five grown children, and his six grandchildren. His favorite pastimes include listening to live or recorded music, watching documentaries, baseball spectating, and working in his yard. Mrs. Behrens is the art teacher for Platteview Central and Platteview High School, and she runs the art club. 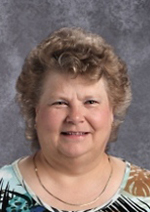 Mrs. Behrens received her bachelor of fine arts from the University of Nebraska-Lincoln in December 2010 and her teaching certification in May 2012. 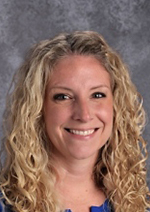 Mrs. Behrens started out her teaching career by substitute teaching in many districts including Millard, Bellevue, and OPS, before starting at Platteview in 2015. Mrs. Behrens enjoys spending her free time with her family, reading, and creating her own art. My name is Nélida (Nelly) Bernier, and I am from Puerto Rico. I began my career at the Catholic University of Puerto Rico where I received a BA in secondary education and a master’s degree in education and counseling. I love traveling and learning about other cultures. I have visited France, Spain, Panama, the Dominican Republic, Canada, and the Virgin Islands. I love doing service projects, painting, reading, playing sports, and spending time with my family. I was a Spanish teacher at Creighton Preparatory School in Omaha for 16 years, Metro Community College for 11 years, Creighton University for two semesters, and at Skutt Catholic for one year. When I am not teaching, I enjoy spending time with my husband, son, and daughter. Mr. Bos has been the skilled and technical sciences teacher at Platteview High School since January 2014. He graduated from the University of Nebraska-Lincoln in December 2013 (GO BIG RED) and completed his student teaching experience at our closest neighboring school, Papillion La-Vista South High School. Mr. Bos teaches introduction to industrial communication and design, engineering, residential architectural drafting, robotics, and construction technology. He also teaches a seventh-grade technology class for Platteview Central. He is Platteview High School's SkillsUSA advisor and assistant wrestling coach. Mr. Bos spends his time away from school remodeling his home and contracts various construction jobs in the summer months. Mr. Bos welcomed his first child and daughter, Rylee Jean Bos, on September 11, 2017. 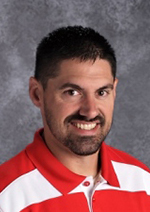 Mr. Comine serves as a social studies teacher and student council sponsor at Platteview High School. 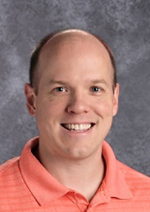 Mr. Comine earned bachelor's degrees in political science and secondary education and a master's degree in educational administration, all from the University of Nebraska-Omaha. Mr. Comine currently teaches U.S. history, AP government, and twenty-first century studies. Mr. Comine is an avid sports fan of Kansas Jayhawk basketball, Kansas City Royals baseball, and Nebraska-Omaha hockey. He lives in Omaha with his wife and daughter. Welcome to mathematics at Platteview High School! My name is Alex Dostal, and I teach algebra I, algebra II concepts & skills, and AP calculus. I truly believe that learning math is a process and that the old sentiment, "I just can't do math" is false! In my classroom, I like to encourage students to develop a "growth mindset." This means that we need to understand that sometimes in math, we will stumble and fall. One of my favorite quotes comes from Michael Jordan: "I can accept failure; I cannot accept not trying." I am confident that if you show up each day and put forth your best effort, you will be successful. The key is being able to persevere through the many challenging aspects of the content to see the big picture at the end. I also serve as an assistant coach on the high school girls basketball team and work as a junior high track coach. I thoroughly enjoy working with all students, and I am looking forward to another great year at PHS. If you have any questions, please do not hesitate to contact me! Mr. Dutcher serves as the biology, AP biology, and anatomy/physiology teacher at Platteview High School. He also serves as the varsity baseball coach. Mr. Dutcher earned his bachelor's degree and his teaching certification from Doane College in Crete, Nebraska. Mr. Dutcher enjoys spending time with family, listening to music, golfing, and watching the Huskers. He lives in Ashland with his wife, Amber, and their two children, Nora and Hattie. My name is Kirsten Ehrke, and I have been teaching Spanish in the Omaha area for the past 18 years. I graduated from the University of Nebraska-Lincoln with my BS in education with a Spanish endorsement. I also have my master’s degree in curriculum and instruction from Peru State University. I am one of five national board certified teachers in world language education in the state of Nebraska. In the fall, I am also a world language methods teacher at UNO. I have two boys who attend school in the district and who keep my husband and me extremely busy. Our entire family is passionate about sports, especially when talking about the Huskers. I play sand volleyball in my free time and enjoy traveling both inside and outside of the United States. My name is Christina Elder, and I am starting my sixth year at Platteview High School and Central Junior High. I teach physical education and health at both the high school and junior high levels. I earned my bachelor’s degree from Wayne State College, and I am currently half way through my master’s in athletics administration at Concordia University. I am also going into my fifth year as the head girls track and field coach. I married my wonderful husband, Tyler, four years ago, and we have two beautiful daughters, Jocelyn, 3, and Taytum, who was born last April. Ms. Falch is currently teaching ninth and tenth grade English and honors English. This will be her sixth year at PHS. Before coming to PHS, she taught in Minnesota. 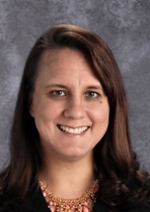 Ms. Falch has a bachelor’s degree in English and a master’s degree in education from the University of Minnesota-Twin Cities. She enjoys reading, gardening, and spending time with her daughter and husband. Mr. Foutch is entering his tenth year of teaching, six of which he spent teaching industrial technology at Platteview High School. Mr. Foutch teaches manufacturing woods and metals, advanced manufacturing woods and metals, design and fabrication, and junior high technology II, and he is the junior high SkillsUSA advisor. Mr. Foutch earned his bachelor's and master’s degrees in administration from Wayne State College. Coach Foutch has been the head wrestling coach for the Platteview Trojans for five years and enjoys spending time doing outside activities (camping, riding motorcycles, traveling, and watching/playing sports) with his beautiful wife, Jesalynn, and son, Ryker. While living in Maine with her family, Mrs. Gurchin received her bachelor's degree in family and consumer studies in 1988 from the University of New Hampshire. She continued her education and graduated in 1990 with her first master's degree in elementary education with a focus on reading and writing also from the University of New Hampshire. That summer, she and her husband moved to Nebraska. Mrs. Gurchin enrolled in the University of Nebraska at Omaha in 1991. In 1993, she graduated with her second master's degree in special education. 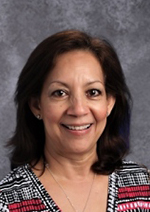 Mrs. Gurchin began working as a special education teacher at Omaha Public Schools at Northwest High in 1993. 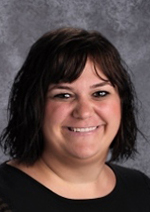 She resigned from Northwest High after nine years and began teaching at Springfield Platteview Community Schools in the fall of 2002. Mrs. Gurchin is beginning her sixteenth year with the district this school year. She currently teaches intellectually disabled students in the developmental learning center. She teaches self-contained classes and provides support for special education students who take classes in the mainstream or attend a work experience program. Mrs. Gurchin manages a team of paraprofessionals and serves as a job coach assisting with student support. She currently lives in Papillion, Nebraska, with her husband and two sons. My philosophy is to teach you how to be successful when something is hard. I want you to leave my classroom knowing that, while the material may be challenging, you can find a way to succeed. Life will throw you unexpected challenges. You must rise to the challenge. Come to my class ready for the challenge of bettering yourself and succeeding in something that you thought you could not do. See you in class. My name is Marla Janak, and I teach instrumental music at Platteview. This is my nineteenth year doing band in this school district and my twenty-eighth year teaching band overall. I have a bachelor of arts degree from Midland University and a master of arts degree from the University of Iowa. 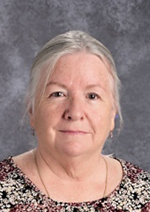 My duties here at Platteview include teaching the grade six beginning program at Westmont Elementary and Springfield Elementary, administering seventh and eighth-grade lessons, conducting the junior high jazz band, and assisting with the high school band program. This year our junior high and high school bands are bigger than ever. I am looking forward to starting a great sixth grade class of new beginners. Mrs. Michelle Janda works as an English language arts teacher. She earned her bachelor’s degree from UNO and returned there to pursue a master’s degree with a focus on library media. She is the current coach of the speech team and lives with her husband, Jim, and two children, Joey and Hannah, in a village near Wahoo. She enjoys reading, fishing, and spending time with family. Mr. Jennings teaches a variety of business classes, including introduction to business, marketing & management, personal finance, management & leadership, business law, and keyboarding, and he is responsible for the work-based learning/internship program. He is also the Federal Perkins Technology Grant coordinator for Springfield Platteview Community Schools as well as our girls basketball coach. Mr. Jennings earned his bachelor's degree from Midland University and his master's degree from the University of Nebraska-Omaha. He lives in Springfield with his wife, Pat, and enjoys playing golf, traveling, and reading. 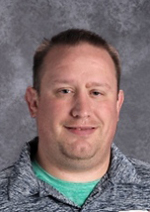 Mr. Jenson serves as the physical education teacher for grades seven through twelve, serving both Platteview Central and Platteview High School. He also is the advisor for the high school yearbook and teaches photography classes. 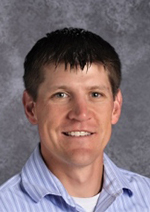 Mr. Jenson earned two bachelor’s degrees in physical education and journalism from Northwest Missouri State University. Mr. Jenson enjoys spending time with his family, fishing, hunting, and photography. Mr. Kersulov is a teacher in the English language arts department at Platteview High School. He completed his undergraduate degree at Central Missouri State University and his master’s at the University of Central Missouri, and he is completing his PhD in literacy, culture, and language education at Indiana University. His academic interests are in English literature, literacy, social justice, and visual rhetoric, including comics and digital compositions. He also enjoys playing fantasy football and tabletop games, as well as cycling and attending comic book conventions. He lives with his wife and two cats in Omaha, Nebraska. 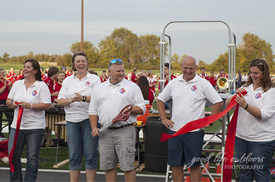 Mr. King served as the seventh through twelfth-grade vocal music teacher at Platteview Junior and Senior High School since 1999. Mr. King earned his bachelor’s and master’s degrees in music and music education, respectively, from the University of Nebraska-Omaha. He has served on the boards of the Nebraska Music Education Association and the Nebraska Choral Directors Association. Mr. King’s wife, Elizabeth, works as a choreographer and part-time accompanist at Platteview, and they have two children. Mrs. Kreifels serves as a math teacher at Platteview High School. 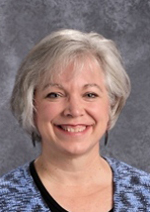 Mrs. Kreifels earned her bachelor's degree and master of arts in teaching from University of Nebraska-Lincoln. This is Mrs. Kreifels’ first year teaching at Springfield Platteview Community Schools. She enjoys spending time outdoors and being with her family and friends. She lives in Springfield, Nebraska with her husband, Joe, and their two children. 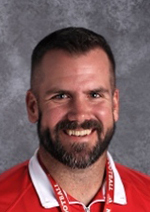 Mr. Kuhl is starting his thirteenth year in the Springfield Platteview Community School District where he serves as a high school physical education teacher as well as a junior high football coach and junior high girls basketball coach. 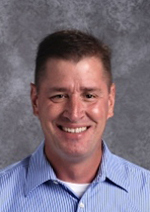 Mr. Kuhl earned a bachelor’s degree in education from Wayne State College and a master’s degree in educational administration from the University of Nebraska Omaha. Mr. Kuhl and his wife have two kids, and he enjoys spending time with his family, watching football, and being active. In 1986, I received my bachelor's degree in business administration with an emphasis in accounting from Kearney State College. After working for several years and staying home to raise my four children, I returned to school and completed my business education degree in 2005 from Peru State College. I have volunteered and/or worked at Platteview High School since 1999. From 2002 to 2005, I worked in the high school office, and in the fall of 2006, I started as a business and information technology teacher for Platteview, teaching grades seven through twelve. I currently teach seventh grade business technology exploration, eighth grade business and career exploration, information technology I & II, introduction to digital design, digital media, web design, and economics. I also coach and direct the PHS Color Guard and co-sponsor FBLA. I have my MS Word certification, and in the spring of 2017, I became an Apple teacher. I am entering year twelve of teaching. I taught math for the first eleven years of my teaching career and am excited to start the computer science program for Platteview High School and Platteview Central Junior High. I will be teaching computer science basics to eighth graders and exploring computer science and AP computer science principles for the high school. I received my bachelor’s degree from UNL in secondary math education, my master’s degree from UNO in secondary administration and supervision, and a second master’s degree from UNL in math. I am currently finishing up a computer science endorsement. I am excited to start another year and can't wait to find out where the journey will take us. I am available before and after school if you need help. There will be things you find easy and others you may find difficult. But life is all about the challenges you face and how you respond to them. Mr. Lundeen has served as a social studies teacher in the Springfield Community Schools School District since 1998. Prior to his post at Platteview, he was a social studies teacher with Stuart Public Schools School District and taught at Stuart High School. 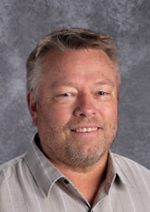 Mr. Lundeen earned his bachelor's degree in secondary education from Midland University and his master's degree in educational administration from the University of Nebraska at Omaha. He is also pursuing a master’s degree in guidance and counseling from Doane University. Mrs. Ortiz is the chemistry, AP chemistry, and material science teacher at Platteview High School. After graduating from the University of Nebraska-Lincoln, she taught in Kansas City for four years. 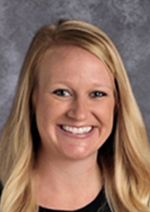 She recently obtained a master of arts degree in educational technology from Baker University and will be coaching junior high volleyball for Platteview Central. Mrs. Ortiz enjoys spending time with her husband, James, and her golden retriever, Ellie. 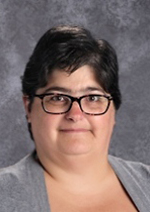 Ms. Pedeilski joins us as the family and consumer sciences (FACS) teacher and Family, Career, and Community Leaders of America (FCCLA) advisor at Platteview High School. Ms. Pedeliski has an associate of science degree in dental assisting from North Dakota State College of Science and has worked in the world of orthodontics. She later went on to earn a bachelor's degree in family and consumer sciences education with a minor in extension education from North Dakota State University. In Ms. Pedeliski’s spare time, she participates in many activities, including fishing, camping, shopping, DIY projects, spending time with her dog, Chandler, and volunteering with the Girl Scouts. Ms. Pedeliski would describe herself as a pizza connoisseur, fashionista, outdoors-woman, adventurer, Pinterest-aholic, and a foodie! 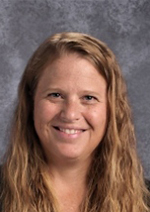 Mrs. Kimberly Roth will be teaching algebra I, II, and geometry this year at Platteview High School. She has taught high school math and was an administrator in Alaska, Oregon, and Tennessee. Mrs. Roth received her undergraduate degree in mathematics with a secondary education endorsement from Southern Adventist University. She will be completing her master’s degree in educational administration from Fort Hays State University in December of 2017. Mrs. Roth and her husband of eighteen years, Danny, (a nurse anesthetist at OrthoNebraska), have an 11-year-old son and a 9-year-old daughter. When she is not teaching, she enjoys playing the piano and violin, training martial arts, and traveling. She is director of the youth program at her church and enjoys leading and participating in mission trips. Mr. Schlieman teaches dual-enrollment United States history, psychology, AP psychology, and world geography. He also serves as an assistant boys basketball coach and coaches junior high track. Mr. Schlieman graduated from the University of Iowa in 2004 with a bachelor's degree in history with a secondary education endorsement. In 2015, he earned a master's degree in historical studies from Nebraska Wesleyan University. Outside of school, Mr. Schlieman enjoys spending time with his wife, Malissa, and cheering on the Iowa Hawkeyes and the St. Louis Cardinals. My name is Mr. Soneson, and I teach U.S. government and seventh grade social studies at Platteview High School and Platteview Central Junior High. I also serve as the assistant varsity softball and junior high wrestling coach. I am a native of St. Paul, Nebraska, where I graduated high school in 2002. In 2007, I graduated from the University of Nebraska-Lincoln with a BS in secondary education. In 2017, I earned an MA in history from the University of Nebraska-Kearney. I am currently conducting post-graduate research on pre-WWII marine corps strategy and policy, which I hope to someday publish. Prior to becoming a teacher, I served for seven years as an intelligence officer in the United States Marine Corps. During that time, I had the honor of leading some of America’s finest young men in combat operations in Iraq and Afghanistan. My wife of ten years, Lynn, and I have three children: Reagan, McKinley, and Lincoln. Mrs. Starks is a business teacher, advisor for FBLA, and coach at Platteview High School. She received a bachelor’s degree from Graceland University and a master’s in curriculum and education from Doane College. Along with teaching, Mrs. Starks enjoys reading and running. She and her husband have four children and live in Springfield. I was born and raised in Blair, Nebraska, and graduated from Blair High School. After high school, I attended Dakota State University in Madison, SD, where I played four years of college football and earned a bachelor's in education. After graduating from DSU, I worked for the Madison School. I also spent a short time working full-time for the Fellowship of Christian Athletes. Through FCA, I got connected with the South Dakota State University football staff, which I was blessed to join and be a part of for three years. I also earned my master's degree in education from SDSU. Coaching Division I football was awesome, but it wasn't conducive to raising children in a way that I felt was in the best interest for our family. So, my wife and I moved to Papillion where we both got teaching jobs and are currently raising our three children. Before coming to Platteview, I taught six years at La Vista Junior High, where I spent my first three years teaching 8th-grade English and my last three teaching pre-algebra and algebra. While in the Papillion La-Vista School District, I also coached wrestling at LVJH and football, boys track, girls tennis, and FCA at Papillion-La Vista High School. Prior to my time at South Dakota State, I worked in the Madison School District in Madison, South Dakota, where I taught and coached for four years. I am entering my second year at Platteview Central Junior High, where I teach 7th-grade language arts and coach wrestling. I also coach football and help lead the FCA with Christina Elder at Platteview High School. I love hunting and fishing, and my family and I are very involved with our church, the FCA, and various other charity and missions work. Mrs. Thayer is the Media Specialist at Platteview High School. She received a Bachelors Degree from University of Nebraska at Kearney, a Masters in Educational Technology from Peru State College, and a Library Science Endorsement from University of Nebraska at Omaha. She works closely with the Online Academy and helps broadcast school events through TheCUBE. Along with teaching, Mrs. Thayer enjoys reading, movies and watching sports. She and her husband have two children and live in Springfield. Hola! 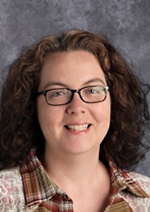 My name is Kimberly Zeleny, and I teach Spanish at Platteview High School and Platteview Central Junior High School. I graduated from the University of Nebraska in Lincoln and studied in Cali, Colombia. While in South America, my love for the Spanish language and culture grew as well as my fluency. I am looking forward to sharing this with my students. This is my eleventh year of teaching and my fourth year at Platteview. My husband, Dave, and I have two daughters, Jenna and Julia. I enjoy spending time with family and friends and supporting my own children, as well as my students, in their extracurricular activities. Visit our district Human Resources page to view our latest job openings.